Quirky takes product development to the crowd. And ShopBot plays an important role in prototyping. Designed to be made with a plastic housing, Quirky’s product designers were hard at work readying a limited-edition, brushed aluminum Nimbus — and that’s where their ShopBot Buddy, with industrial spindle and 12″ Z-axis came into play. But hang on, what is Quirky anyway? And how does it work? 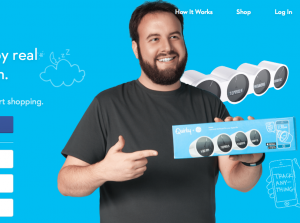 Quirky has re-invented the process of bringing new products to market. Rather than taking the “old school” route of expensive market research, new product ideas are submitted by and ranked by the biggest market there is: the Crowd. People are invited to submit their ideas, anything from half-baked notions on napkin drawings to fully baked ideas, to Quirky’s site for voting by the crowd. The most popular ideas are put into consideration for development into products for market. But participation doesn’t end here. People can get involved voting on the product’s colors, submitting names and more, and at each step of the way participation earns you points that turn into dollars when the product succeeds. That’s the Nimbus, below, balancing on top of the piggy bank. The originator of the idea is Ryan Pendleton of Grand Rapids, Michigan. 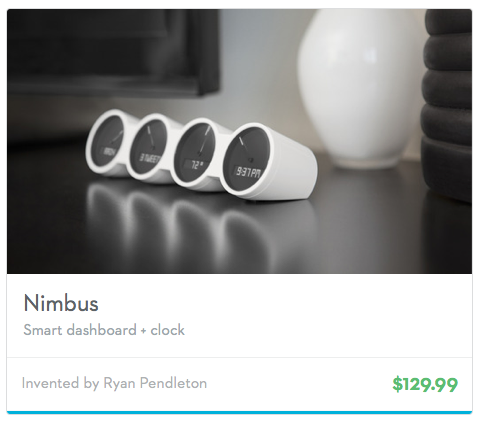 A self-proclaimed geek as well as photographer, gamer and journalist, Ryan’s initial inspiration for Nimbus was an app-enabled alarm clock, but it became so much more than that. Ryan saw an opportunity to have a bigger impact on peoples’ daily lives by incorporating diverse streams of information. Thus, Nimbus became a personal dashboard. 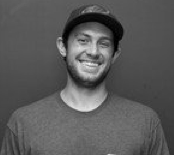 Ryan Pendleton, the guy with the idea for the Nimbus. So far he’s earned $35,946, and the Quirky Community (the crowd) has earned $43,005. According to Quirky Product Designer Richard Ganas, Quirky’s ShopBot Buddy has played a critical role in the development process. 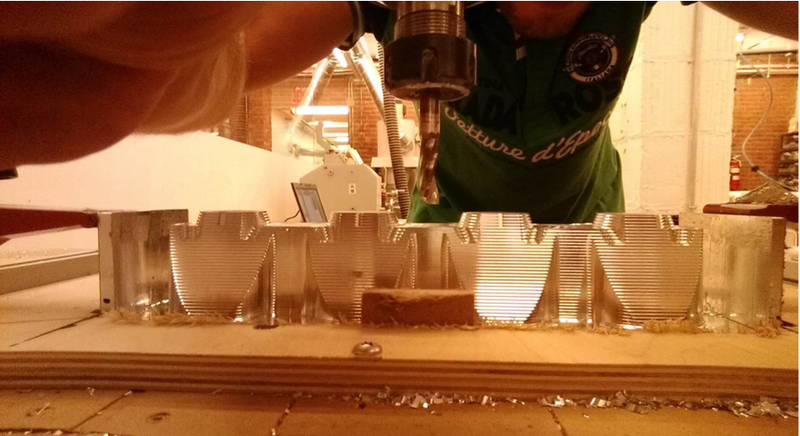 “We’ve had numerous 3D printers and other digital tools in our production studio for awhile, but our need to mill in aluminum, as well as to work with larger prototypes, has made the ShopBot Buddy invaluable,” says Ganas. In addition to the plastic-housed version of the Nimbus, Quirky was working on preparing a limited-edition (a thousand or so) run of the Nimbus to be housed in brushed aluminum. Quirky had identified a local vendor to handle the limited run, but to test and refine the design in aluminum required milling work with the ShopBot. In the case of the Nimbus, the team first used Solidworks and 3D printing processes to play with different shapes for the product. Further along in the process the production team used the ShopBot and Renshape foam to help them determine the number and type of different tools they’ll need to ultimately produce the consumer product. 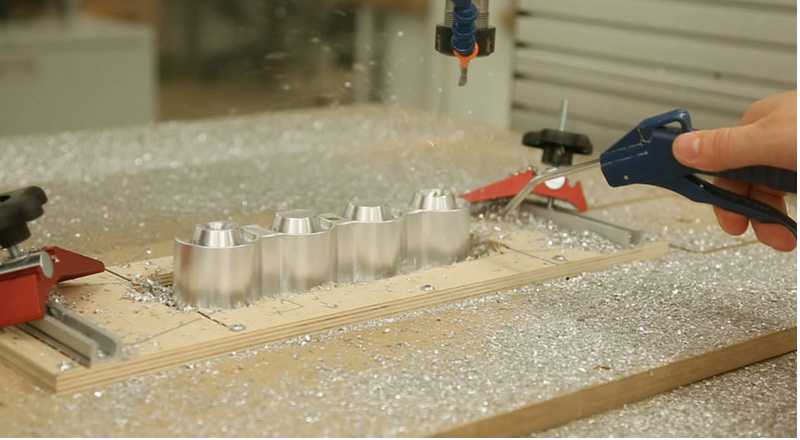 As they prepped the limited run in aluminum, the team made use of the ShopBot to help them make decisions regarding the final finish of the product, polished vs. brushed aluminum. The unique value of the ShopBot to Quirky. Rich noted that he came to this tool with little background in CNC, but found he integrated the ShopBot into his process quite quickly. He noted that ShopBot’s forum has been very useful, and with any technical support issues, ShopBot’s team has been very responsive. Want to learn more about the ShopBot Buddy? Click here. To get in touch with ShopBot, call 888-680-4466 or use this contact form. 1 comment to Quirky takes product development to the crowd. And ShopBot plays an important role in prototyping. Really interesting article and rather apt – never heard of them before but I’m happy that I now have. Great business idea and model!